Let’s be honest: It’s pretty much expected, by this point in time, that your business have a presence on social media. If you don’t at least have a company Facebook page, and perhaps also outposts on Twitter, LinkedIn, and Google+, then your business is going to be seen as woefully outdated. You’ll be seen as a dinosaur, in other words, making social media a non-negotiable. By establishing some social media accounts, then, you’re really just fulfilling the minimum social obligation that you have as a business owner. By no means does this mean you’re making a legitimate go at social media marketing. There is much more to social media marketing than just setting up your profiles; it is, in fact, vital to be really strategic and forward-thinking if you are to make your social media marketing efforts work. You may be investing a lot of time and talent into social media marketing and seeing very little benefit from it. Don’t panic: It’s not because social media marketing is a crock. It may be that you’re just not doing it right. You’re not updating very often. The top reason why social media marketing fails is that business owners don’t commit to regular posting. You should be updating every day, for most social channels, and its best to get an editorial calendar in place to make that happen. You aren’t bringing in new followers. Social media is not just about bringing in new followers—yet followers are important. If your numbers aren’t growing, you may not be promoting the page properly, or your content may not be sufficiently engaging to new users. You view your social media profile as an ad stream. We’ve said this time and time again, but using your social media profile as a non-stop sales pitch is a sure path to failure. You post the same content to all your social media profiles. There are some great social media automation tools that will allow you to post the very same thing to Twitter, LinkedIn, Facebook, and the rest, all with just the press of a button—but this creates a redundant and repetitive experience for your users. Better to offer uniqueness on every channel! You don’t have the proper internal social media procedures. When are your social media channels updated? Who updates them? What measures are put into place to ensure that your updates all carry the company’s unique branding voice? If you don’t have internal social media guidelines in place, then your efforts may simply be inefficient and unproductive. You don’t respond to customer questions or comments. You’ve got to make time for this! 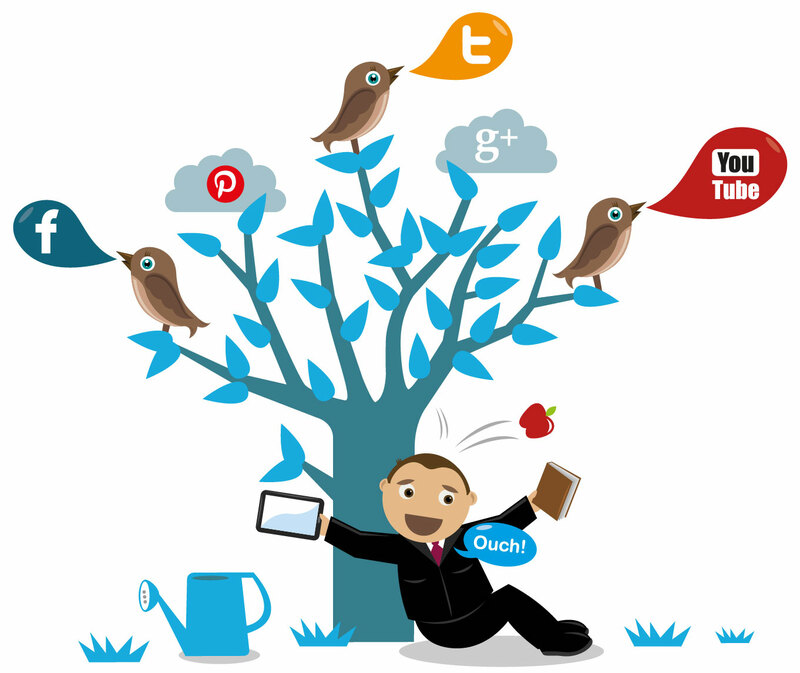 It’s through relationship forming that social media marketing is most effective. You ignore complaints or negative comments. You can’t ignore them and you can’t delete them! Instead, take negative posts as occasions on which to show off your sterling customer service. All of these issues can be crippling to your social media marketing efforts—but all are fixable, either through outsourcing to a company like Grammar Chic, Inc., or simply by instituting stronger internal policies. To learn more, we invite you to reach out to us today: Either visit www.grammarchic.net or call 803-831-7444 803-831-7444. As always, a top-notch post! With all the demands of modern social media marketing, most businesses need help, ESPECIALLY if they’re a smaller operation. Since there are fewer people to shoulder the load, keeping up with the marketing demands can become overwhelming. Here’s a question that merits consideration in connection with this: How do you define the line between outsourcing work and abdicating responsibility? Pingback: Social Media Marketing: Are You Doing It Wrong?